Editor’s note November 15, 2018: a previous version of this editorial cited various comments from third parties accusing Kerry Diotte of being a racist, as well as explicitly supporting Faith Goldy. 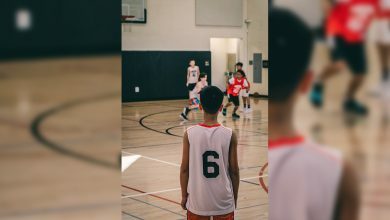 Subsequently, The Gateway was contacted by a representative of Mr. Diotte, who provided information indicating that the comments were untrue. On the basis of the information provided by Mr. Diotte, the Gateway retracts and apologizes for the comments, and has revised the editorial. Originally published on November 5, 2018. When one attends a political event, one, of course, is going to have to schmooze, even with the disagreeable people in the room. Many awful people hold positions of power, an unfair reality that I, just as much as the next person, would love to be false. 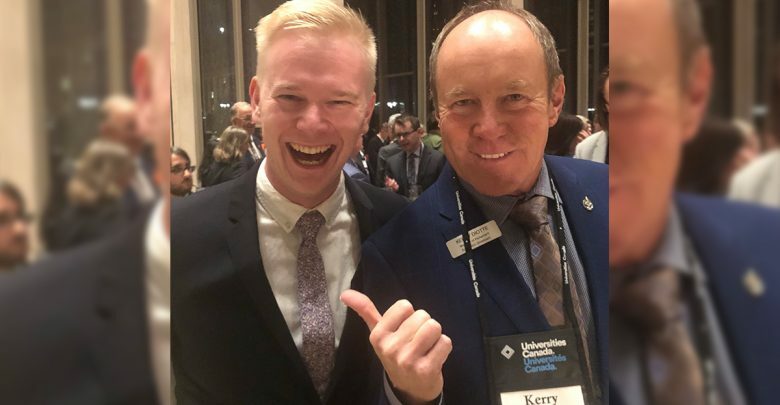 I guess it was sadly unavoidable that Student’s Union president Reed Larsen had to engage with Conservative Edmonton-Griesbach MP Kerry Diotte in Ottawa, but did he have to tweet out a photo that makes them look like BFFs? 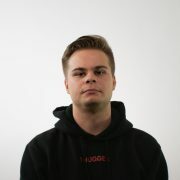 Diotte has also appeared in photos twice on Twitter alongside Faith Goldy, a former correspondent for Rebel Media who was fired after appearing on a podcast run by The Daily Stormer, a neo-Nazi website. These white nationalist sentiments didn’t come out of the blue for Rebel Media — Goldy had previously done segments where she claimed that immigration in Canada was amounting to white genocide. She also live-streamed the Charlottesville Rally, spending the time mocking counter-protesters, sympathizing with alt-right politics, and capturing the car crash that killed one counter-protestor and injured many more.Since her firing, Goldy has continued to campaign and spread white nationalist views, running for mayor of Toronto and coming in third place. So yes, I think it’s clear that many people wouldn’t want their elected student officials to be warmly associating with this man. Larsen’s responses to these criticisms, however, were painfully lukewarm. While I can commend his transparency in regards to not deleting the tweet (something that Diotte has continuously failed to do), he’s trying to brush off something that can’t be so easily brushed off. Look, I get it. The SU is officially a non-partisan organization. The executives have to work with elected representatives of all stripes on student issues, regardless if their politics align or not. I’m sure Larsen wasn’t pleased to have to talk to a man with such dubious values, but he had institutional obligations to adhere to, and thus did have to engage with Diotte. Ultimately, when wrapped up in this kind of political straitjacket, interactions like these come down to a question of optics. 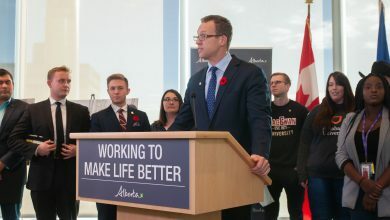 Sure, Larsen may have had to speak with Diotte because he does indeed represent a large swathe of University of Alberta students, but did he really have to post such a smiley, cuddly photo with a man who makes pals with white nationalists? I appreciate Larsen holding himself accountable by documenting his conversations with officials online, but he can document those conversations without posting a photo of him bro-ing it up with every official. Diotte’s appearence in photos with someone who holds white nationalist views isn’t just an unfortunate optical fact that Larsen can ignore. As such, it should have been dealt with extremely carefully. Larsen could’ve simply mentioned the fact that he spoke with Diotte in his Tweet, or maybe have taken a neutral photo with Diotte where they didn’t appear to be best friends. There were many ways Larsen could’ve worked to avoid glamorizing Diotte, but he didn’t attempt any of them, which to me shows a stunning lack of responsibility on his part. Was this a lapse in judgement? Most likely. But such a lapse in judgement, regardless of intention, is extremely costly — you end up alienating your own constituents while you attempt to advocate on their behalf. Leaders can’t effectively advocate when they don’t have the trust of their groups; this is something that Larsen should know and should’ve had at the forefront of his mind when interacting with Diotte. A few people seemed to think The Gateway’s reporting on this tweet was unfair, a kind of hit piece on Larsen. Part of our job is to hold SU executives like Larsen to account when they make mistakes. 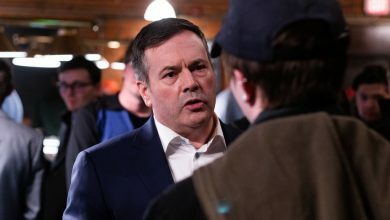 Our student politicians, despite their best intentions, are never perfect — don’t their constituents deserve to know when they are failing as well as succeeding? Reed Larsen isn’t a racist for posing with Kerry Diotte, but his uncritical engagement with his actions and stunning lack of foresight can’t go unquestioned. Even if his hand is forced, Larsen should be doing as much as he can to avoid endorsing unsavoury views. Without this, it will be difficult to trust him as a leader.